The New Year is an ideal time to make changes to your home's layout and bring your kitchen into the 21st century. Cozy Interiors, the premier furniture and flooring dealer in Eagle River, AK, offers some timeless kitchen ideas that never go out of style. They specialize in kitchen cabinets, marble and granite countertops, laminate or hardwood flooring, and gorgeous area rugs to spice up your home. A granite or marble-topped center island is a timeless, multi-use kitchen feature that adds workspace and gives your family a place to belly up while they chop veggies, chat with the chef, or even do homework. It is also a painless way to add cabinet storage and a drawer or two. Too often, kitchen appliances are large, ugly boxes that don't match each other or the rest of the kitchen décor. With some creative use of attractive paneling and built-in appliances, you can integrate the appliances and give your kitchen a sleek, modern look that will never go out of style. 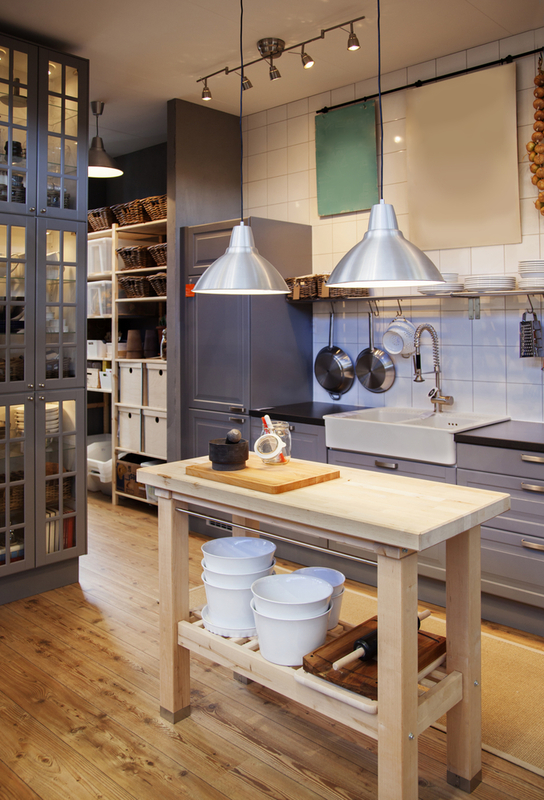 Large, overhead cabinets can overpower a small kitchen. To open up the space, install open shelving or glass door cabinets. Both of these additions can make the kitchen feel larger; however, you must be careful to minimize clutter, since you cannot hide your dishes behind closed doors. Vintage décor is a great way to stay stylish while embracing the past. Items like a farmhouse style sink, shaker cabinets, and antique (or antique-looking) appliances can be both retro and fashionably on-trend. The friendly sales staff at Cozy Interiors can help you bring your dream home to life, whether you plan to remodel the kitchen or you just need a few accents to create visual interest. Visit their website for contact information, or call (907) 694-2699 to speak to a friendly sales representative about your kitchen renovation needs.